It is happening! Join us for the canonization of Mother Teresa in Rome for a full Rome and Assisi pilgrimage. We are the first to jump on this event – with hotels, flights, guides, buses and everything else reserved. For more info and to get your name on the list contact Suzanne at sparran@ctscentral.net or call her at 800-727-1999, ext 121. 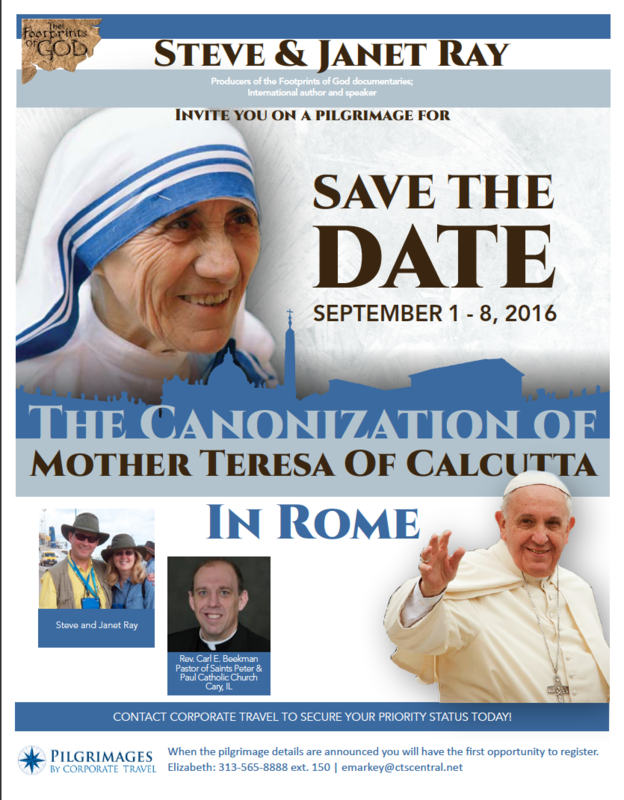 This trip will fill up fast so don’t wait too long :-) This pilgrimage will be with Teresa Tomeo and Ave Maria Radio with a priest who used to be her spiritual director! Previous post: Office Depot Defiantly Rejects Printing Order for a Pro-Life prayer; I Just Took Action! Next post: Why Aren’t Muslim Countries Taking Syrian Refugees?